Jamshoro: The University of Sindh and Liquat University of Medical & Health Sciences (LUMHS) have issued notifications to vacate 1,500 acres of government land, a news source reported. Both institutions took the initiative in the wake of a supportive verdict given by the Supreme Court. 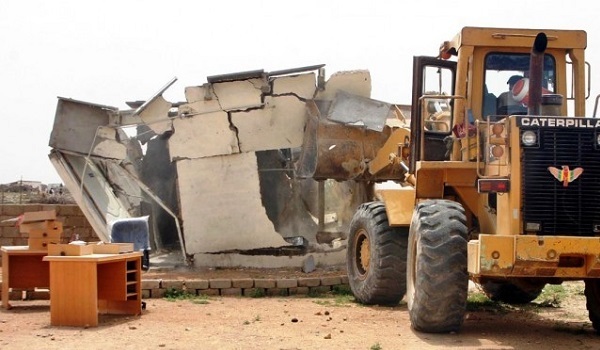 According to reports, both universities issued an ultimatum to encroachers to vacate their land within seven days. Sindh University Vice-Chancellor (VC) Prof Dr Fateh Muhammad Burfat, and LUMHS VC Bikha Ram Devrajani, along with heavy contingents of police and rangers, visited the occupied area. In a related news, the Karachi Development Authority (KDA) on Wednesday said it had demolished 90% of the encroachments in the metropolis. According to KDA Director General Samiuddin Siddique, the civic body carried out an indiscriminate operation against encroachers throughout the city. He added that KDA had insufficient funds and little machinery, but it has completed the task.